Our society continually works to increase the value of EDS membership, and our colleagues enjoy an array of free and deeply-discounted, members-only benefits. 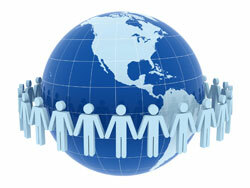 One EDS initiative to encourage newcomers and assist current members is the EDS Membership Fee Subsidy Program (MFSP). This program offers the generous incentive of one-year complimentary IEEE and EDS memberships to help launch new chapters or enable existing ones to grow their memberships. This special membership offer is only available to students and professionals who meet IEEE requirements for reduced membership dues. Higher grade member applicants for the EDS MFSP will be enrolled in IEEE electronic membership, a paperless membership option created to help new and renewing higher grade members who reside in countries with a low per capita income. Current IEEE members must be sure their member accounts reflect their eligibility for reduced IEEE membership rates, if they qualify. The EDS membership fee subsidy is a 'one time only' member benefit for each applicant. 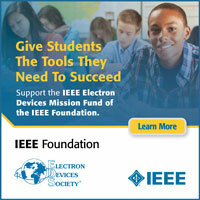 Five of the fifteen members/students applicants each year, must be new IEEE or EDS members. Any questions on the EDS Membership Fee Subsidy Program should be directed to Joyce Lombardini (j.lombardini@ieee.org), in the EDS Executive Office. Thank you.